In November 2014 Ernestine White, the curator of Contemporary Art at the Iziko South African National Gallery, approached me to design the interpretive material for the large-scale retrospective by the artist Penny Siopis. For the project I designed a custom exhibition title and label template, and created all of the vinyl lettering used throughout the show. I also supervised installation of the labels and lettering prior to the opening. The following photographs illustrate just a handful of the design material created for the exhibition. 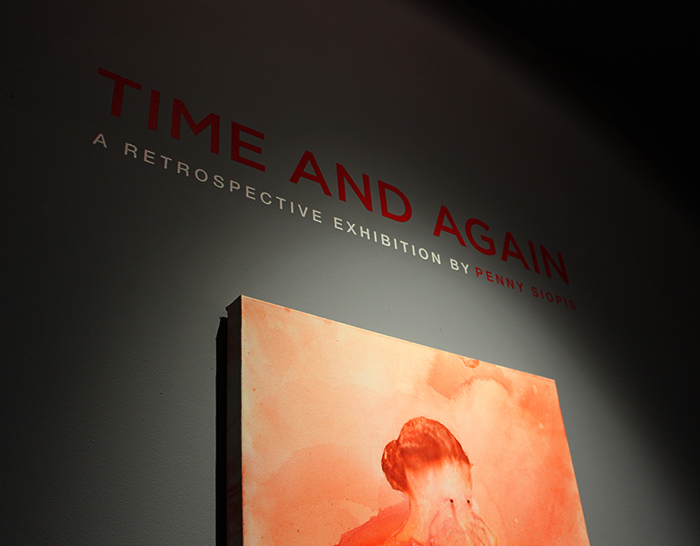 Time and Again: a retrospective exhibition by Penny Siopis ran from 17 December 2014 until 23 March 2015. For more information about the exhibition click here.